Help us help everyone access healthcare. 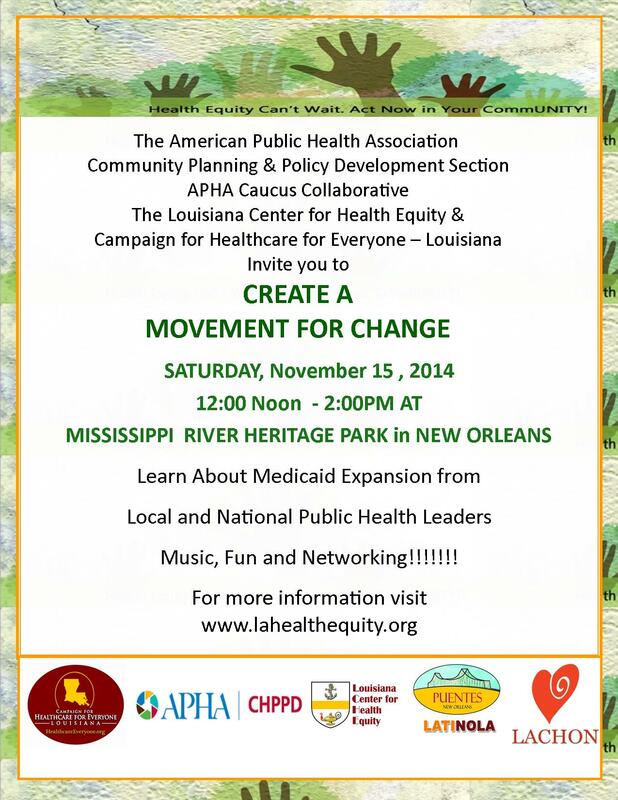 Join your fellow Louisianans to help improve access to healthcare for the uninsured and expand Medicaid. 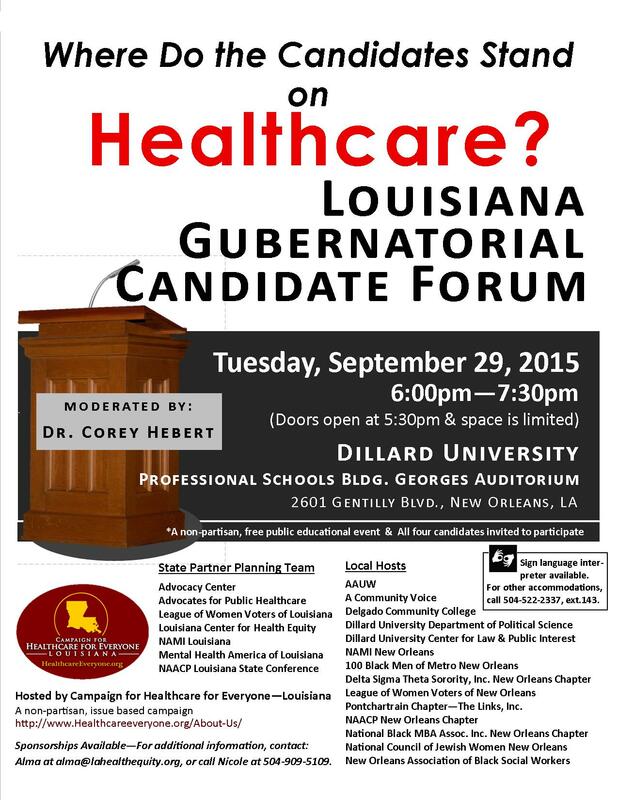 Help strengthen Louisiana’s economy, create new jobs, save taxpayer dollars, and improve the health and well-being of underinsured working citizens. Show your support for bringing over $26 billion in new federal funding to Louisiana over the next ten years and taking advantage of an opportunity with both economic and public health benefits for all of our citizens. Sign the petition now. 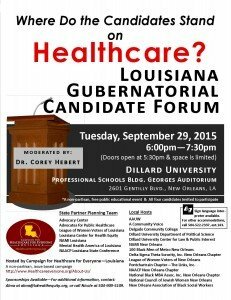 Tell your lawmakers that expanding Medicaid is the right choice for Louisiana. Tell them that it is good for our state budget by reducing the amount spent on costly emergency room and hospital visits by those who cannot afford to pay. 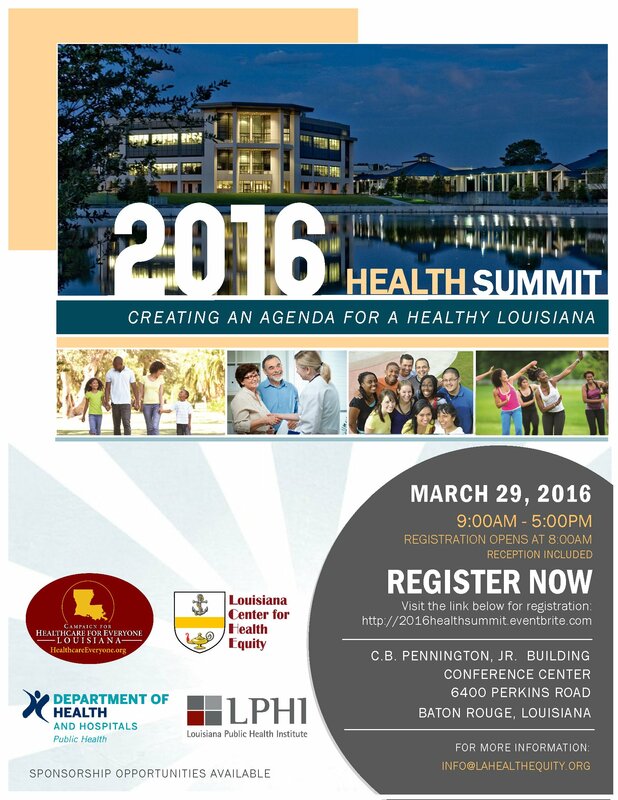 Campaign for Healthcare for Everyone – Louisiana embodies a diverse group that spans the gamut of healthcare stakeholders including health care providers, nonprofit organizations, consumer organizations, employers, civic groups, concerned citizens, and others who have come together for the specific purpose of engaging many different voices in support of expanding access to healthcare and advancing Medicaid expansion by taking advantage of the opportunity presented by the Patient Protection and Affordable Care Act. There are 895,000 uninsured children and adults in the state. 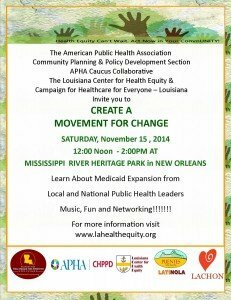 Medicaid expansion will provide health insurance for up to 400,000 Louisianans, who are without health insurance and in so doing, will save Louisiana money by reducing the money it spends providing healthcare in emergency rooms and outpatient health clinics for people without insurance. In Louisiana, with the exception of pregnant women, adults without children are ineligible for Medicaid at any income level and the income eligibility for parents is extremely low. 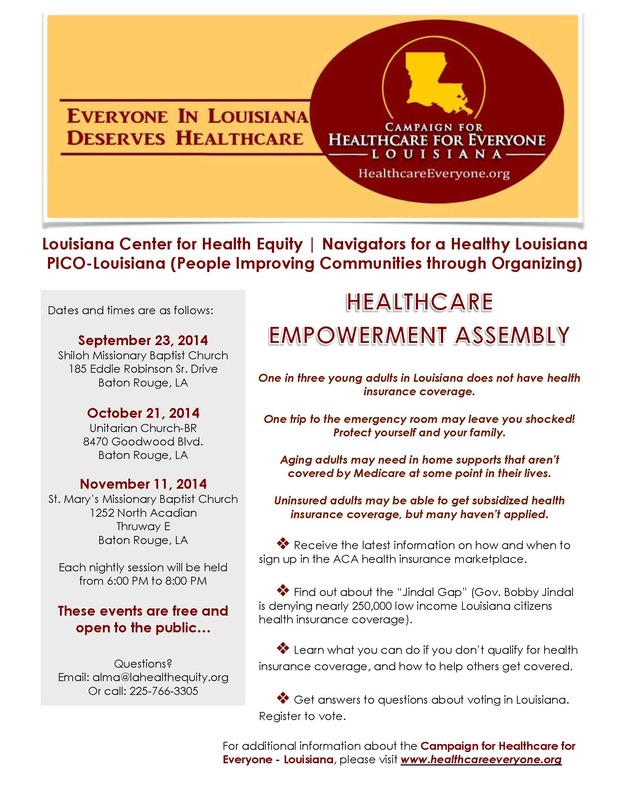 Campaign for Healthcare for Everyone – Louisiana is working through its supporters to educate the general public, members of the media, community and civic leaders, and public officials about the need for better access to healthcare and to adopt the Medicaid expansion provisions, as well as the implications of the decision facing the Legislature and what it means for our state. The Campaign for Healthcare for Everyone – Louisiana emerged because of the decision of the U.S. Supreme Court that upheld the constitutionality of the Patient Protection and Affordable Care Act. The ruling allows individual states to opt in or not for one of the Act’s key provisions – expand the health insurance provisions offered by the Medicaid program to a larger share of its uninsured population. The future for the hundreds of thousands of Louisianans who are now without health insurance, but who would be covered by full implementation of the Medicaid expansion provisions, now rests with the Louisiana Legislature when it convenes in April. Adopting the Medicaid expansion is an economic development opportunity while ensuring a healthier workforce for Louisiana’s business and industry sector and public health as a whole.